Here are some great content tips on how to boost engagement with your content. – It’s all about killer headlines. Anyone with a website is a publisher and crafting great content takes time and effort. Having put in the hard work you want to extract the most benefit from what you have created. None of these good things will happen until have someones interest (and time) and they become a visitor to your page. This starting point is your headline and image wherever it appears in your Twitter feed, Facebook or blog post, email or homepage. 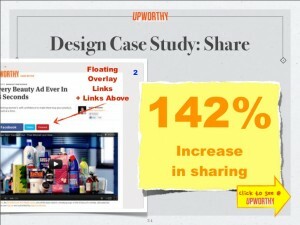 Getting your headline and thumbnail/graphic right will get you a click. 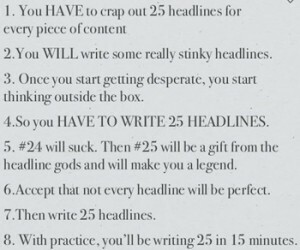 So if you have spent time getting the last paragraph of your blog post just right don’t then waste the effort by adding a throwaway headline that nobody clicks. 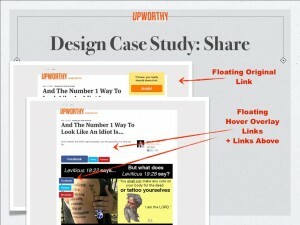 News aggregator Upworthy is a fast growing site which according to the latest stats from Quantcast has over 59,000,000 visitors and 74,000,000 page views in the last month. Not bad for a site that is less than two years old and produces no content of their own! 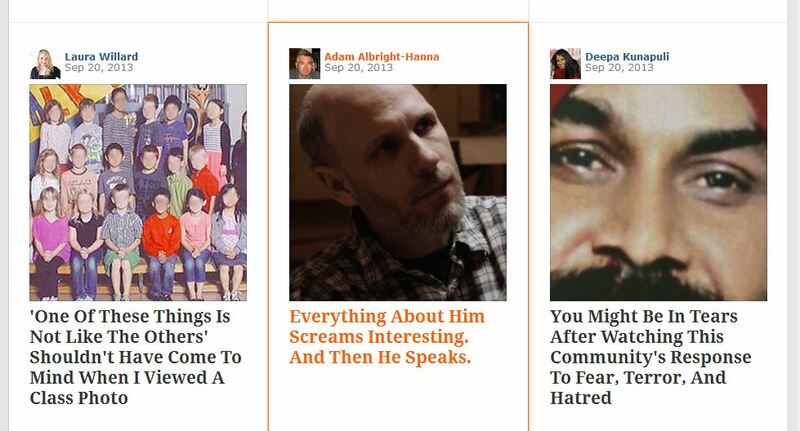 Upworthy only works as an aggregator. They share video, images and content published by others and (this is the important bit) optimising them for consumption with better headlines, titles, images, presentation and descriptions. The interesting thing about these headlines is that they don’t really tell you what the story is about but they do arouse curiosity and interest. Upworthy describe this as Social optimization aiming to hit the user with just a taste of the content, worded in a compelling way, and often with an emotional tone. So if you are optimizing you headline for click-throughs consider how much the headline teases and entices the reader while refraining from giving away the meat of the content. If you are too vague the reader will not click but if you are too specific the reader already has the story and no need to click the link. Zach Sobiech posted a music video of Clouds, a song he wrote and recorded about struggling with a rare bone cancer. He became the subject of a short online video documentary, which garnered tens of thousands of views after being featured on FoxNews.com and People.com. shortly after he died. 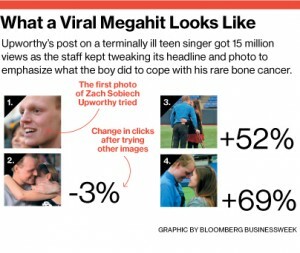 Upworthy editors saw the documentary and repackaged it with the headline “This Kid Just Died. 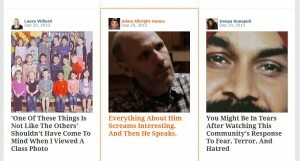 What He Left Behind Is Wondtacular.” Since then more than 15 million people have watched the documentary on Upworthy. Sobiech’s song went to No. 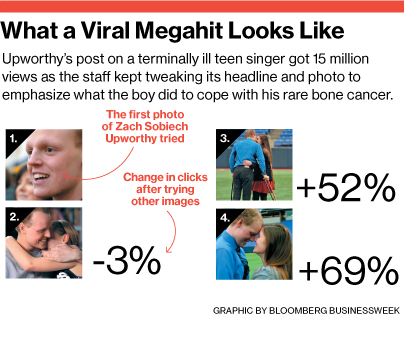 1 on n Apple’s iTunes Store, and a link Upworthy put next to the video raised more than $300,000 for cancer research. The content tip here is to consider the emotional appeal of a picture to get more clicks. Even more important is to note that they did lots of testing to see what works best. If its not working change it. If it works well do it again. It is not just the words and pictures that matter. Having your visitors share your content is equally important as it allows you to reach out to their networks and gather more clicks and visitors. 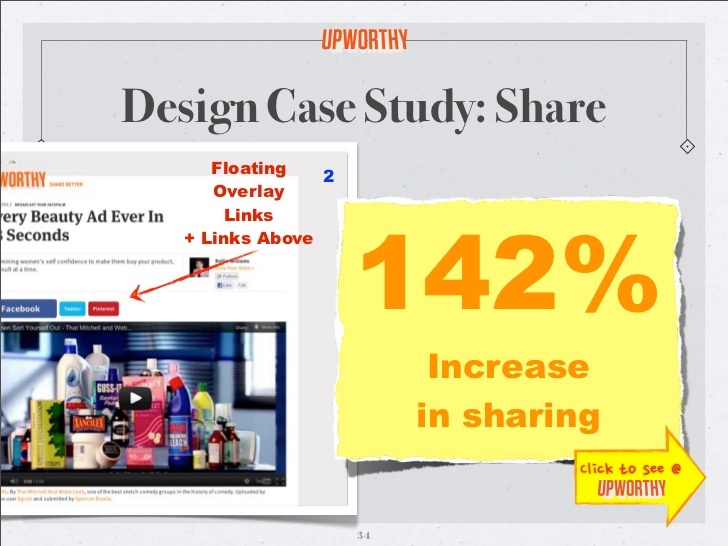 In this example from an Upworthy presentation you can see how the the placement or sharing options can deliver big increases in interactions. The content tip here is make sure it is easy for your visitors to share. Too often sites have their social media buttons apart from the content itself, buried at the bottom of the page or worse not at all. If you have any other thoughts on headlines, testing, choosing the right images or social sharing please add a comment below.